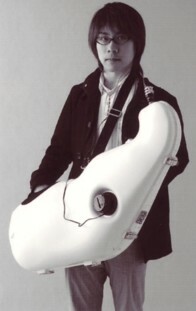 by Shinji Hamanaga who invented the Silent Brass. 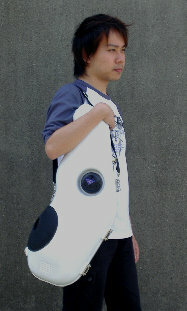 anywhere and anytime you want! 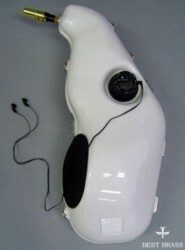 * The method to muffle the sound acoustically and ideally without affecting the tone quality. 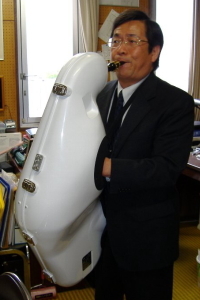 In other words, e-Sax is the world smallest soundproof chamber. 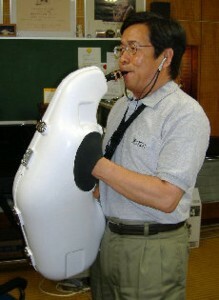 * The e-Sax mute system allows for full out playing. 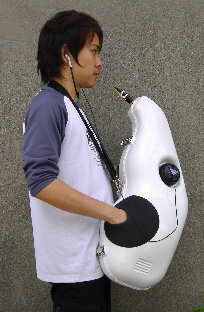 antibiotic action and fungus resistance to use the e-Sax comfortably without any problem..
because the moisture absorption does not work. 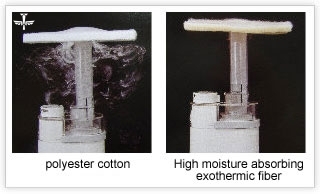 using for e-Sax absorbs the moisture completely due to high hygroscopicity. This hygroscopic fiber performs highest value in an existing fiber in this world. Moreover, this fiber is safe used for medical treatment and bedclothes. from the shell and dry them naturally (avoid the direct rays of the sun). 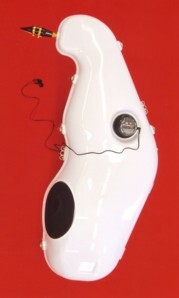 * The e-Sax has the following multi functions. 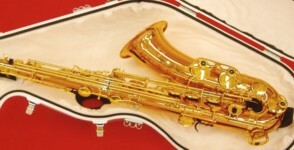 Why don't you try the e-Sax ? We are sure that you'll like it ! 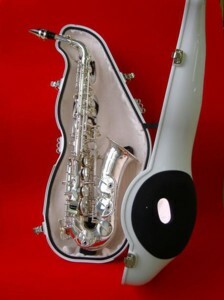 * Please set your saxophone correctly into the e-Sax as below.